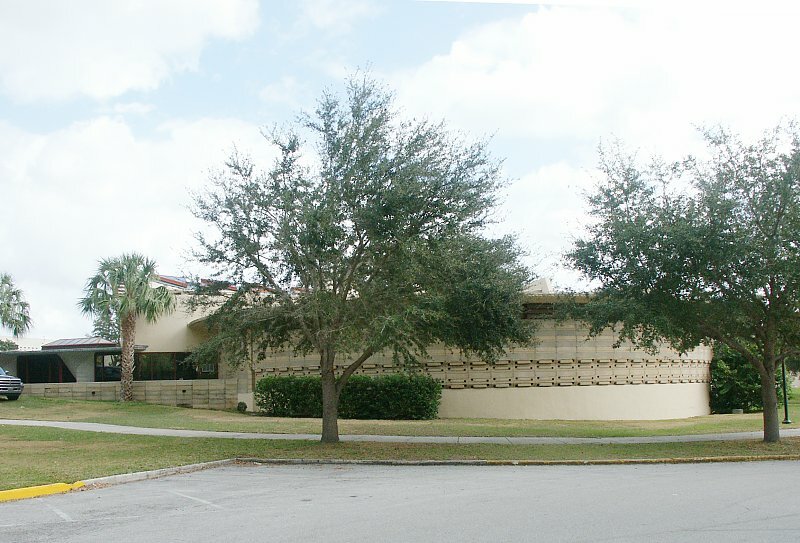 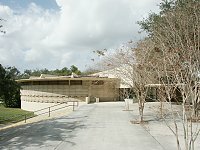 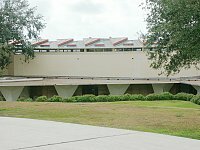 This building was originally the E. T.Roux Library with the circular portion containing book stacks and the reading room. 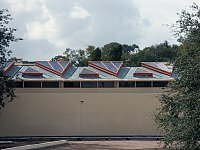 The main stack area was in a rectangular wing beside the reading room. 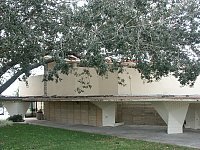 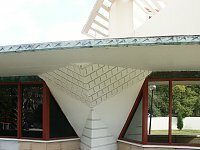 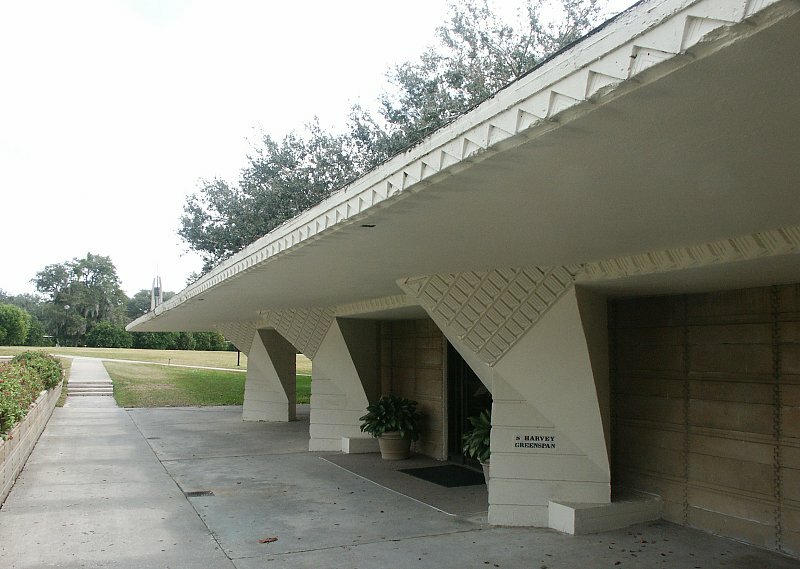 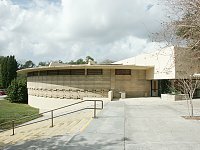 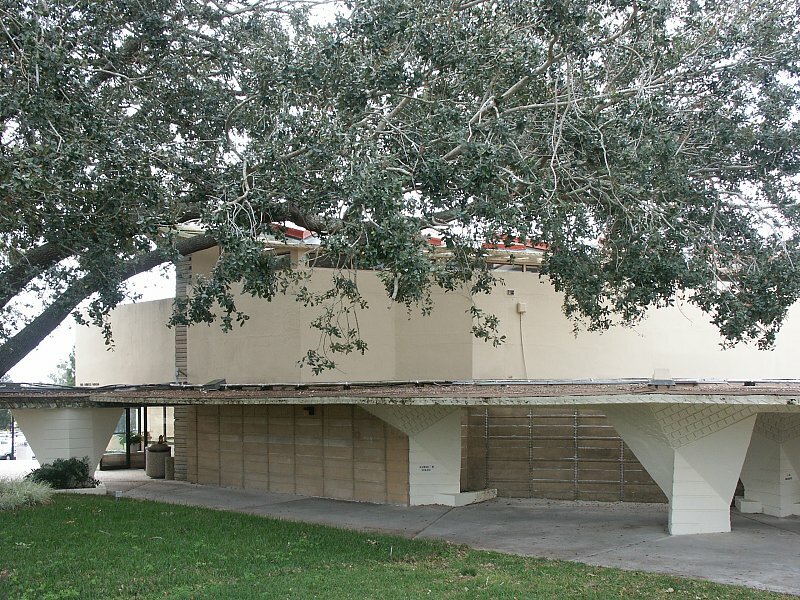 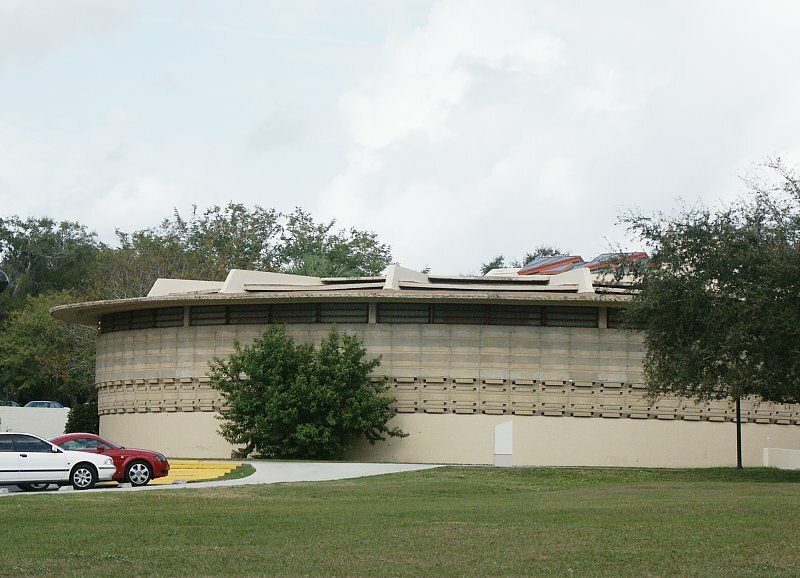 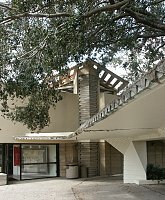 Today this building houses the Frank Lloyd Wright Visitor Center. 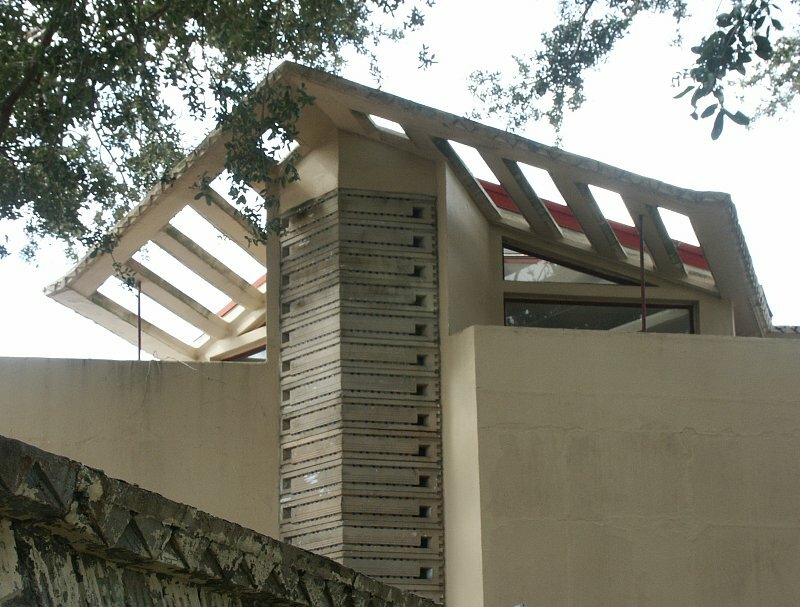 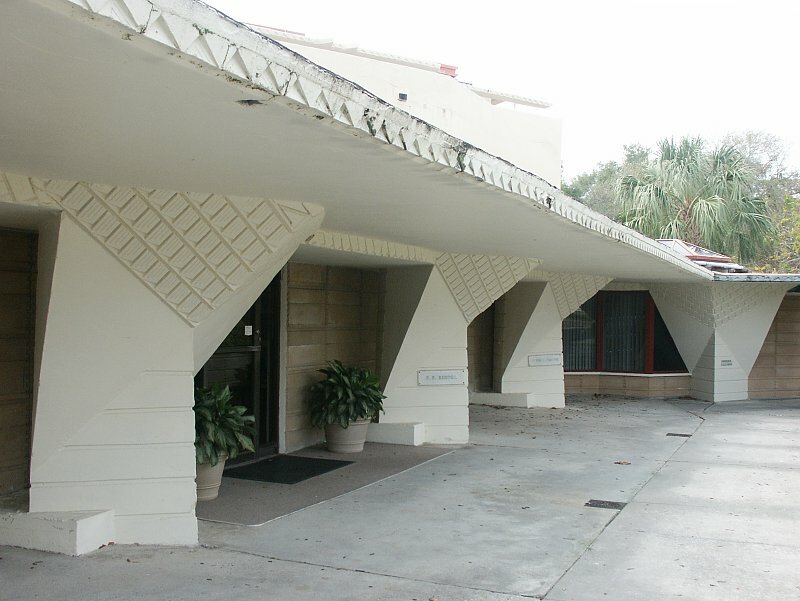 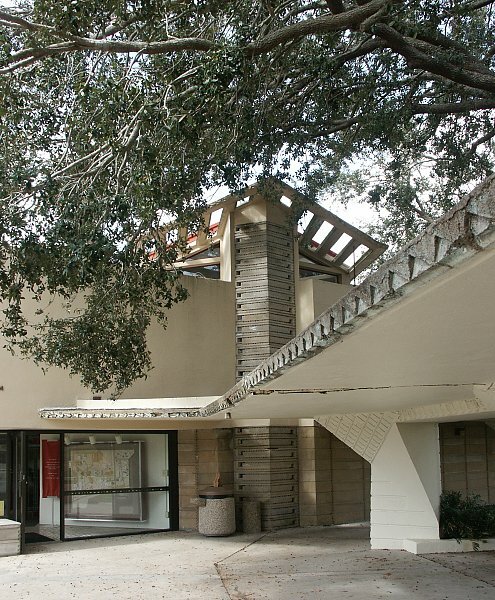 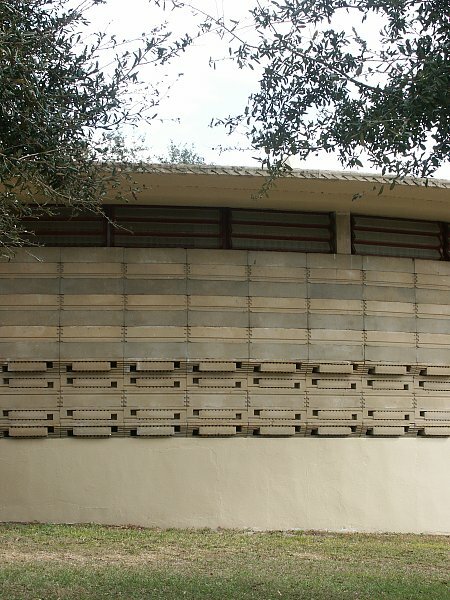 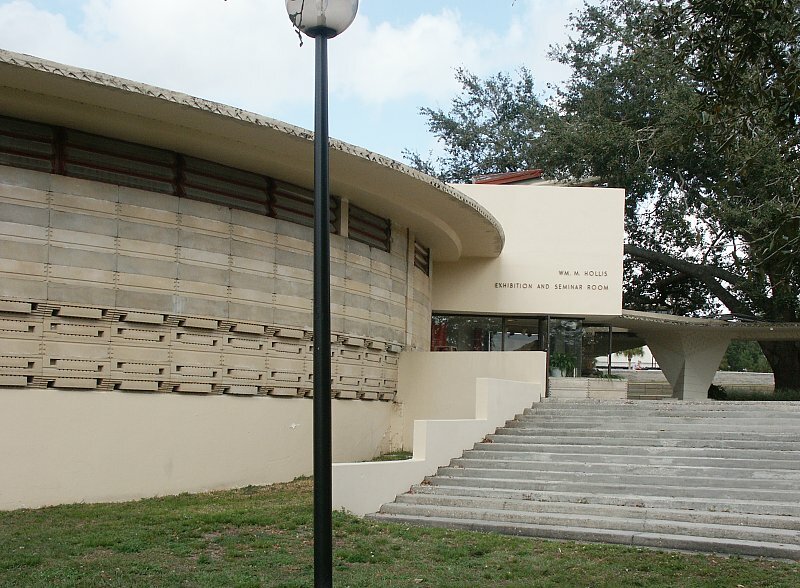 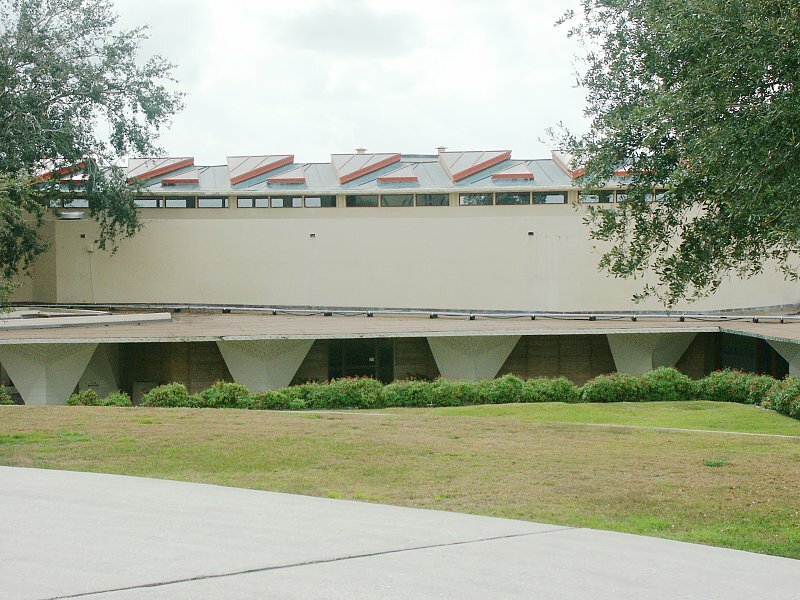 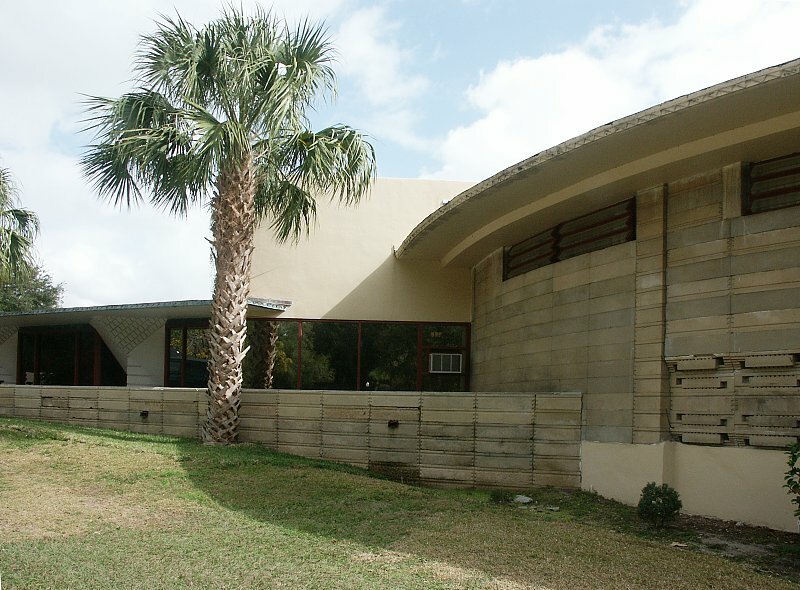 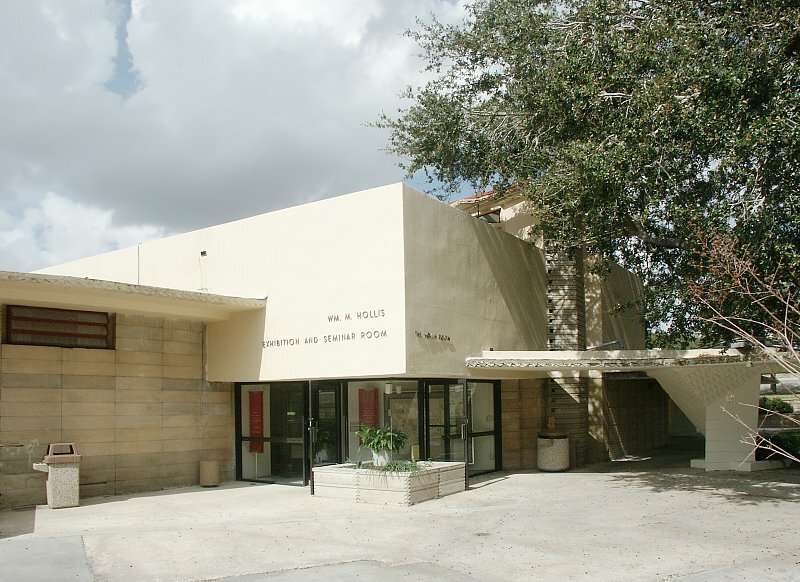 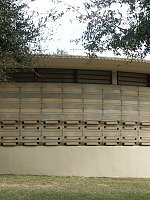 Like many of Wright's buildings on the campus, this former library is composed primarily of reinforced concrete and concrete blocks, some with small openings filled with cubes of colored glass which cast colored light in the interiors. 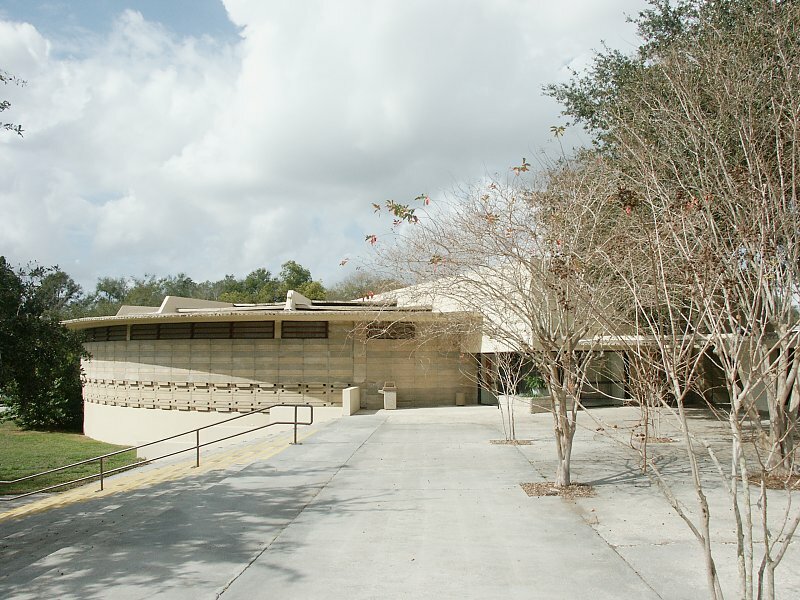 Both the building materials and the esplanades help to create a sense of continuity of design throughout the campus. 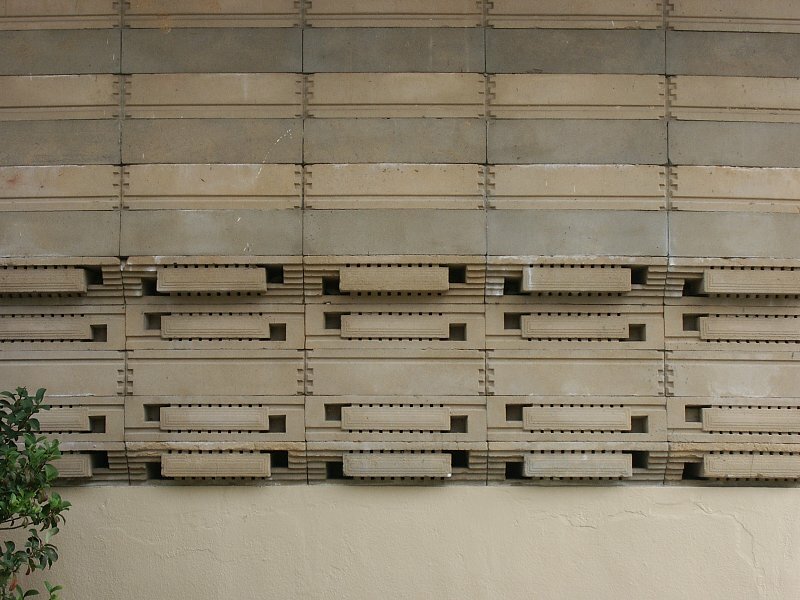 These penetrate the concrete roof providing natural light for the interior--formerly the book stacks.